Start on Day One. Time is the key to success while you are preparing for the exams. Without wasting any time you should start preparing for the next exam. Organize your schedule for the coming days before the exam such that you do a little every day. You should start studying 2-3 days prior to your exam. Most importantly don’t burn lamp at both the ends of a day as this will do no good. Since practice makes man perfect so inculcate of the habit of practicing avidly. This prevents you from overnight cramming. Get a Good Night’s Sleep. It is equally essential to have a good night’s sleep as to regain the complete mental efficiency one needs adequate rest. So do not skip on night sleeps. Jot Down Key Concepts/Formulas. Study your notes well you have made so far. Make a concise list of important points and formulas with their correct application in problems. Making a list of key formulas save a lot of time and help in memorization better. Revise Homework Problems. Consider your homework problems seriously so make it a point that you do not just read over the homework problems but actually re-do them and practice more of the kind. Writing down the steps will help you to remember them. Make sure that you try to do the problems before you verify your answers. Do Not Leave Book/Notes Examples. Solved examples in book and notes carry high weightage as they are very likely to be asked in exams. Make it certain that you practice them without seeing the solution; there won’t be much help otherwise. Look for Identifying Characteristics in Problems. There are some identifying features associated with each type of problem, keep an eye for observing them distinctly so that you can optimize your time in correctly identifying and solving that problem in exam. So, while reviewing your homework look for identifying characteristics that will give you clues on how to identify that kind of problem. Take a Practice Exam. Usually, many books contain a lot of unsolved problems at the back of the every chapter. Take them up as a self-testing exercise. Solve the problems in well stipulated time frame. Make sure that you do it honestly without peeping into the solutions or referring to your notes. This will give you the right estimate of your preparation and enhance your confidence significantly. The Graduate Management Admission Test (GMAT) is one medium that can help you pursue your dream job. Every student needs to work hard to get a good score in this exam beating off hundreds of thousands of other aspirants. A good score can get you admission into some of the best business schools in the world. Coming back to the ground realities, in order to give this exam your best shot, you should better know how to prepare for GMAT well. The GMAT exam is conducted around the world at various test centers and it costs you about $250. 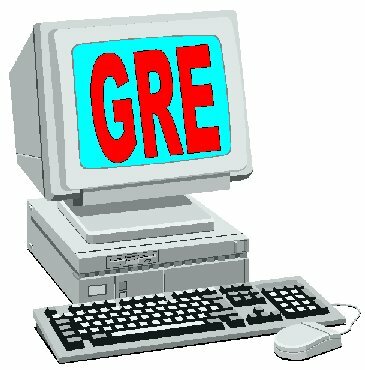 Its score is valid for 5 years so you can start preparing for GMAT accordingly. You can also give GMAT any time again but all the scores will appear in your official score card. GMAT tests your basic verbal, mathematical and analytical writing skills which you have developed over your academic years. Once you have decided to give the exam, start preparing at least 3 to 6 months before the exam in order to have a better chance of getting a good score. Taking care of you personal preferences with your study style, schedule your work load. It requires a lot of discipline, motivation and the right temperament to crack the exam. You can get a private tutor or online tutor for one¬-to-one studies, practice regularly and every day for adequate number of hours but do not strain yourself. Studying in groups helps you to understand the mindset of other aspirants as well. Giving mock tests regularly also helps you test your skills that you have developed overtime. Complete the course well in advance so no topic is left untouched in order to prepare for the GMAT exam. You may also get help from an online GMAT Tutor to help you with GMAT preparation. These are the 6 Golden P’s for any student who wishes to do well in exams. Exam time is really a pressure time for students. Students start to panic as soon as the exam time gets nearer and nearer. This is because they did not start preparing for the exams well in advance and now looking at their books with just a couple of days left, it appears to be a big problem. Students often do not understand how to prepare for exams. They just feel blanked out during the exam time and don’t know from where to begin your exam preparations. Start well ahead of time. You will not find any better substitute for this. Preparing in advance helps become familiar with the concepts early on. You get to know your strengths and weaknesses and from then on you can start improving upon them well in advance. You should make your own notes in case you want a quick revision tour of the concepts before the exams. Eat healthy and get adequate sleep. Avoid caffeine and junk food. Try to relax near the exam days. Indulging in sports is a good way of doing this. Preparing for exams can become a lot easier by following these small steps and you will see your grades move in only one direction from then on which is upwards. Promo: Get an Online Tutor to help you with doubts and difficult topics. Exam time is really a pressure time for students. Students start to panic as soon as the exam time gets nearer and nearer. This is because they did not start preparing for the exams well in advance and now looking at their books with just a couple of days left, it appears to be a big problem. Students often do not understand how to prepare for exams. They just feel blanked out during the exam time and don’t know from where to begin your exam preparations. There are some important rules that must be kept in mind before starting to prepare for the exams. In order to prepare well for exams, start well ahead of time. You will not find any better substitute for this. Preparing in advance helps become familiar with the concepts early on. You get to know your strengths and weaknesses and from then on you can start improving upon them well in advance. You should make your own notes in case you want a quick revision tour of the concepts before the exams. Eat healthy and get adequate sleep. Avoid caffeine and junk food. Try to relax near the exam days. Indulging in sports is a good way of doing this. Is it better to stay up late studying for a test? Is it better to stay up late studying for a test, or is it better to get 8 hours of sleep? This is a tricky question. The answer depends on the individual student. While some students just cannot wake up in the morning and concentrate, others are more altert at dawn. However, as a rule parents discourage staying up at night and studying since they are typically, unable to monitor the progress of the student’s effort – after having spent a tiring day at work. One very effective way is to study before going to bed; take a book to bed and dose off while reading it. Though doctors typically discourage reading in the lying down position, it has been observed that what one reads before going to sleep remains in the mind. Some students read out the answers into their mobile phone, plug on the earphones and go to sleep hearing their own voice reading out the answers to potential exam questions. This can be a good way to absorb a large amount of information in a short amount of time. 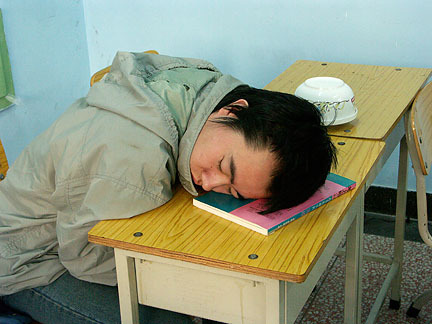 Some students stay up late just before a test. To make this effort most effective, students should read concise answers to potential test questions, important points and formulae (for mathematics) during such late night study sessions. This is because during this time the student is not trying to learn anything from scratch but is only trying to reinforce areas where he or she feels are relatively weak. It is important to get sleep before the test. Therefore, never stay up the whole night before the exam. Even if you have only a few hours before having to wake up and take the test, you definitely need those few hours to rest. It is important for students to score as high as possible on the SAT (Scholastic Aptitude Test) to improve their chance of getting admission into the college of their choice. Competition for the best colleges is intense, given that a couple of million students take the test every year in the US alone. There are many vital elements in preparing for the SAT test. These include understanding the nature of the test, practicing for the test and preparing oneself mentally and physically for the test. However, the most vital part is learning for the test itself. One could begin by talking to students who have scored very high in past tests. This will give you some perspective. This should be followed by undertaking some research on the test itself. A lot can be gleaned from the Internet. Visit various SAT coaching centers or their websites. Then the student might want to take a baseline test. This will provide a basic scale of measurement about the student’s capabilities – and more importantly, weaknesses. The student should then concentrate on filling up gaps in his or her knowledge, i.e. shoring up areas of weakness. Get information on all that is permitted and not permitted in the test. This will help avoid problems at the time of taking the test. The student should physically prepare for the SAT test. How can that be done? The SAT test requires not only knowledge but also the skills to apply the knowledge, presence of mind and calm disposition while attempting to answer tricky questions. It is important not to get flustered. Try meditation, stay cool, stay away from memory enhancing drugs, get plenty of sleep and take a shower before going to the test – this will enhance the level of alertness. The rest will all follow. Test – the word itself sends chills down the spine of many a student, taking away their appetite and desire to sleep. There’s a scramble to learn as much as possible in the shortest possible time. There’s no time to take a bite or get a wink of sleep. But that’s not good practice. Students need to eat healthily before a test. Typically, before taking tests conducted in the morning, students should consume protein-rich foods such as eggs, nuts, yogurt and cottage cheese for breakfast. Food such as spicy or fried food should be avoided as these tend to make the stomach heavy and could cause some discomfort. High school students sometimes take a cup of coffee to perk them up and keep sleep away. Of course, this depends on parental permission. Tests that are conducted in the afternoons or evenings are more difficult to take. This is because the body generally seeks some rest in the afternoon. Therefore, it is important that before taking tests held in the afternoon or evenings, students should eat a balanced meal, including protein and fruits, such as bananas, apples, oranges. You could also keep healthy snacks like protein bars with you to nibble on between exams. Avoid spicy dishes, yogurt (especially the sour ones), rice, pizzas and burgers, since these create heaviness in the stomach and can adversely affect your attention span, alertness, and consequently performance levels. Before and during the exam, drink enough water to keep hydrated, as dehydration may cause you to lose focus or feel tired during the test. Finally, you may want to consider having a cup of yoghurt or fruit, both of which contain serotonin, on the night before the test. Serotonin relaxes the mind and can help you fall asleep.